In a span of several years, our society has taken an interest in biodiesel cars, wind power and composting. It makes us feel proactive to be helping the environment as a part of our everyday lives. But few take recycling to the level of outlandish fun as the International Sustainability Institute. ISI’s Trash Fashion Bash event is designed to “entertain, educate and empower others to rethink, reuse and recycle” by making haute couture fashions from society’s trash to be featured in benefit runway shows. It begins with a suit. In 1983, Susan Lamela was repairing an expensive designer outfit suffering from poor workmanship. 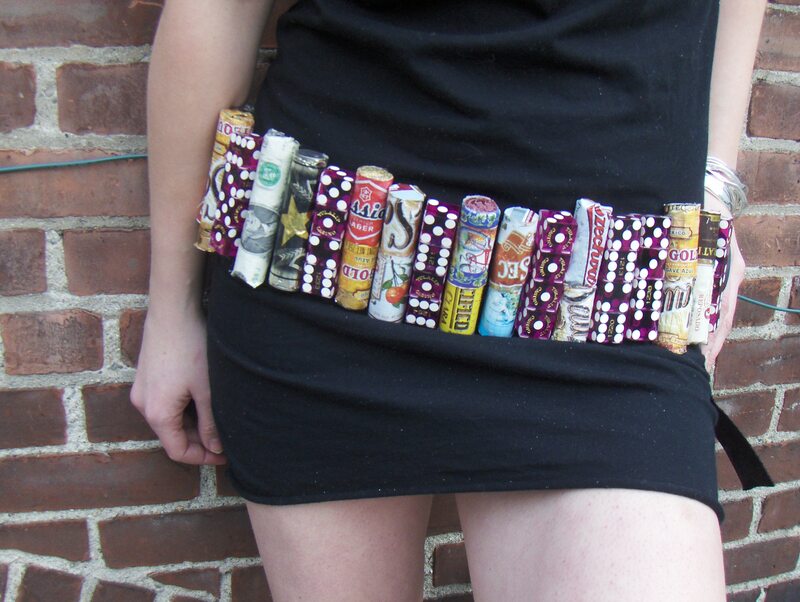 “I could do better than this with trash,” she thought, and the idea for Trash Fashion was born. The first show was titled The Cutting Edge of Fashion, sponsored by the Social Science exhibition of Nevada City, California. After several successful sell-out shows at the Nevada Theater from 1986 to 1989, Lamela had the inspiration to morph the shows into an environmental fundraiser for the community. ISI acquired new, local designers with each show, choosing whimsical working names like Prima Debris, Ozona Slash, Venus de Mylar and Disposabelle. The Trash Fashion Bash reached its first peak in 1990 with its 2-night Haute Trash- Objet Trouve Fashions show, featuring 14 designers and over 70 recycled ensembles. ISI sees themselves as “a troupe of resourceful artists who produce runway fashion shows featuring haute couture made from society’s trash.” The show, in the hands of Robin Worley as Rayona Visqueen, toured the west coast from Hawaii to Oregon, making appearances at the Ecological Farming Conference and the Green Festival, as well as touring with the vaudeville Karamazov Brothers. Rayona Visqueen moved to Seattle in 2002, bringing the Trash Fashion Bash with her. Since then, shows that target an audience of prominent Seattle politicians and corporate figures have graced the Seattle Asian and Seattle Art Museums. During the Seattle Center’s Next 50 event in 2012, the show ran two nights at the Intiman Theater. The runway shows have featured models such as representatives from the King County Green Tools program, the city of Seattle, and former Seattle City Councilman and 2013 mayoral candidate Peter Steinbrueck. Local “designers” include people from Seattle businesses such as Bumgardner, GGLO, Vulcan, Parsons PR and Kauri Investment. This sort of positive interest from the city’s higher-ups bodes well for the environmental revolution. The International Sustainability Institute wants people to see trash in a new light. Not only do they realize the incredible amounts of waste our society generates, but also to prompt people to look at it like a resource. 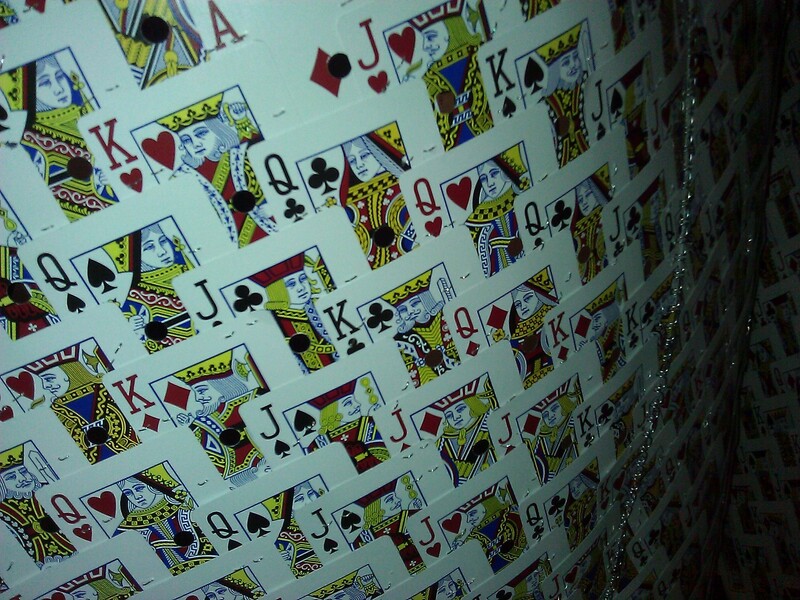 It’s doubtful anyone would wear a cape made of hundreds of playing cards thrown out from a casino, or an evening gown fabricated from New York Times newspaper bags, but the message is the same- trash is everywhere, and we need to do something about it. 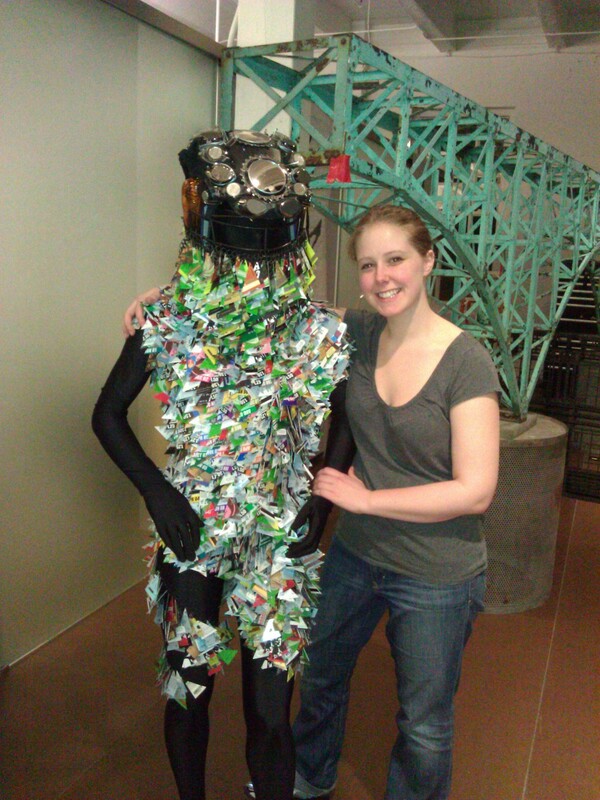 The author with a suit made of recycled plastic consumer cards – credit, debit, coffee, transit, health insurance, and auto. Each of the 3,063 plastic cards represents 3 million humans, as the population is predicted to grow to 9.6 billion by 2062. This entry was posted in Music and Art, The Seattle Scene and tagged International Sustainability Institute, sustainability, Trash Fashion. Bookmark the permalink.